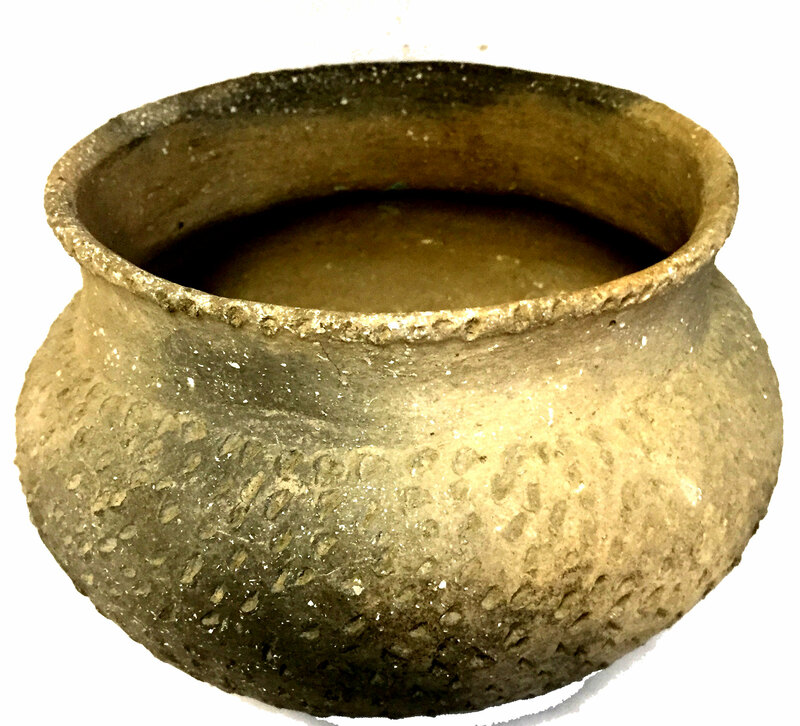 A Very Well Made, Nicely Decorated, Medium Size Mississippian Parkin Punctated Bowl That Exhibits Surface Oxidation Aging And Clay Patination, Visible Aged Surface Shell Grog, Correct Shape And Decoration For The Type, Aged Open Pit Firing And Fire Marking, Aged Deposits In The Surface And Rim Decoration, Visible Inside Aging And Extended Soil Staining, Correct Material And Manufacture For The Area Found. Found On The Big Eddy Site In Cross County, Arkansas. This Highly Collectible Example Is In Good Condition With A Punctated Decorated Body And Rim Having Nice Firemarking. Includes A Ken Partain Certificate Of Authenticity.